Is it the Limoncello from Italy, the Highland single malt scotch, the Bordeaux (that you will be bringing back from our river cruise), Scandinavian vodka, South American or South African wines, that you must take back? What about the 99 pt. Napa Cabernet, that has limited distribution? Shipping you say? Well on our recent trip to Israel we shared a case. That added $10/bottle. It was towards the beginning, so no way were we going to haul a case of wine all over Israel. Everything arrived safe and sound. But that’s not always the case (pun intended). My Floridian friends shipped some cases from South Africa. They never could get them out of customs in Miami. I guess there was a great cocktail hour at the customs office. Customs laws, for international imports, are different than domestic. On the domestic scene, it varies by state. Here ’s a quick guide state by state. The Feds have their own set of rules. Check those out here. There is no legal cap on how much wine you can travel with, as long as it is under 24 percent alcohol by volume. You’re limited by the size and weight of your suitcase. With spirits, there is a cap. You’re permitted up to 5 liters of alcohol “between 24 percent and 70 percent… packaged in a sealable bottle or flask.” Why? Because liquor is a fire hazard. Anything over 70 percent is not allowed. No taking home White Lightening, from Uncle Jeb, in rural Tennessee. Most American liquor bottles are 750 milliliters, that works out to 6 bottles (plus a pint or so) that you’re allowed to carry. Test that 5-liter limit at your own risk. People have been forced to leave bottles behind in Louisville’s airport. No volume limit, when flying internationally. However, you may have to pay duties, if you look like you’re about to open a bar. Okay, you have done your homework, you are at your last stop before flying home. How do you get those libations home without your new white golf shirt, from St Andrews, drinking a bottle of your delicious single malt scotch? Buy it at the duty-free shop? Well that’s fine and dandy if you have a direct flight to your home airport and they sell what you want in the shop. What if your first point of entry into the USA is not your home airport? 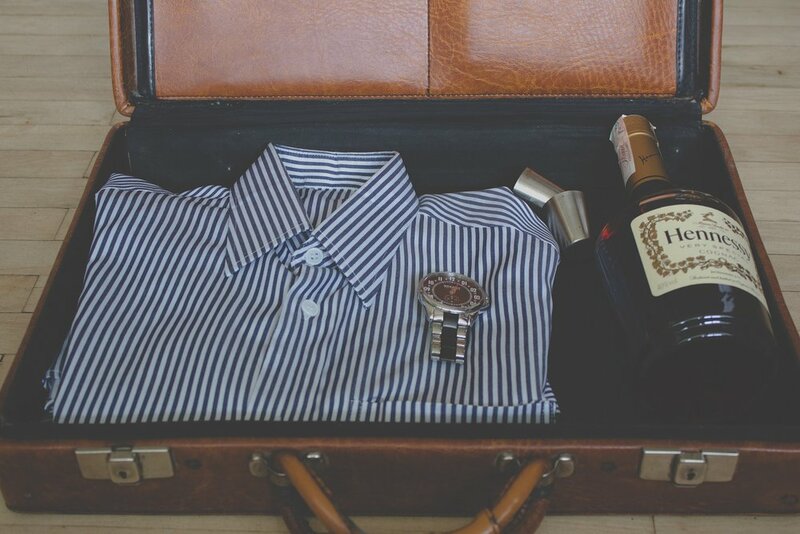 After going through customs, you’ll have to pack those duty-free bottles in your checked bags. You can’t take them on board your connecting domestic flight. They won’t fit in that little plastic baggy with your, no more than 3.5 ounce, other bottles. Always check screw tops to make sure they are tight; even if they leak half an ounce an hour, a lost bag or flight delay could be a disaster. If your bottle is sealed with a cork, it may protrude out of the bottle, if so add padding so it’s not jostled free or snapped off in transit. If you know you’ll be bringing back bottles, pack masking or Scotch tape. Use it to wrap and reinforce the seal like extra shrink wrap. And don’t use clear packing tape of duct tape. You want the tape to come off easily without removing labels or leaving residue. Take empty ice and laundry bags from the hotel room and wrap them tightly around the bottles. In the event something goes wrong, you’ll likely prevent the spillage from ruining your clothes. This is one of the purposes for taking plastic zip lock bags (as I always recommend in my packing list). Beautiful bottles with long, thin necks have a lot of weak points that can crack under pressure from as little as a poorly placed item. Wrap with extra laundry to keep them from snapping mid-flight. Bubble wrap is great if you can snag some. Don’t let glass touch glass. With two or more bottles, wrap and protect each one separately, and add padding between them, like a folded scarf or rolled t-shirt, to act as a divider. If you pack your clothes in plastic bags, that’s an additional layer of protection for both the bottle and the clothes. I have carried many bottles home successfully. Be careful packing and you should be fine. Then sip your favorite, as you reminisce over your photos from your fabulous trip. Tags travel blog, travel, packing tips, how to pack alcohol?